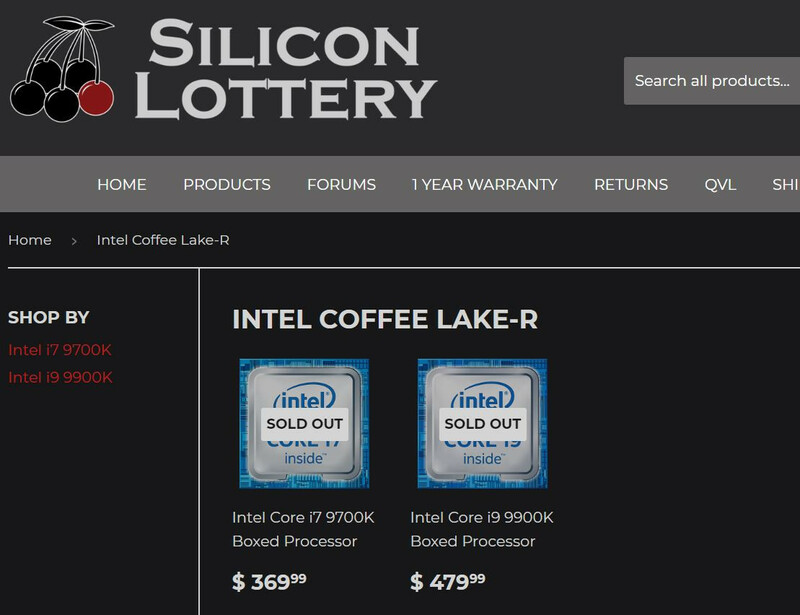 It looks like Intel’s upcoming Intel Core i9-9900K and Core i7-9700K processors were accidentally listed along with their retail prices by Silicon Lottery. A few days ago, the site published a new page for the Coffee Lake-R (Refresh) processors which will be part of the 9th Generation family that also revealed the prices of the specific boxed processors. The prices have since been removed but we were able to catch sight of them. Currently, only two processors are listed out of the three unlocked SKUs that will be available at launch. These include the Core i9-9900K which features 8 cores and 16 threads and the Core i7-9700K which features 8 cores and 8 threads. The Core i9-9900K was listed for a price of $480 US which is around $100 US higher than the Core i7-8700K (Intel’s previous flagship processor). The Core i7-9700K is listed for $370 US which is the same price as the Core i7-8700K. This is the price segment where Core i7 processors have been featured by Intel so no surprise here. The prices of these processors were quickly removed by Silicon Lottery after they became aware of their little mistake. The CPUs are now listed as “Sold Out” and we will see these along with binned models appear after the official launch. Till then, we can only wait till 9th of October where the 9th Gen official announcement would be made. The Intel Core i9-9900K is the flagship SKU of the 9th Generation Core family. This will be the first mainstream desktop Core i9 part and also the first Intel chip to boast 8 cores and 16 threads. In terms of cache, the chip will feature 16 MB of L3 and will come with an Intel UHD 620 graphics chip. The clock speeds are something to check out here, we are going to get a 3.6 GHz base clock out of the box and a 5.0 GHz boost clock in single and dual core operations. 4 core boost is rated at 4.8 GHz while 6/8 core boost is rated at 4.7 GHz. This is the highest frequency we have seen on an 8 core part across all cores. All of this is done under a 95W package so we can expect some hefty cooling solutions to go along with this chip. Coming to the top Core i7 part, we get 8 cores and 8 threads. This the complete opposite of what we have been hearing as previous rumors identified the chip as a 6 core and 12 thread part. The chip will have 12 MB of L3 cache and as you might tell, it has lower threads than the Core i7-8700K but comes with higher core count. So maybe, we will get the same or even better performance from the chip. 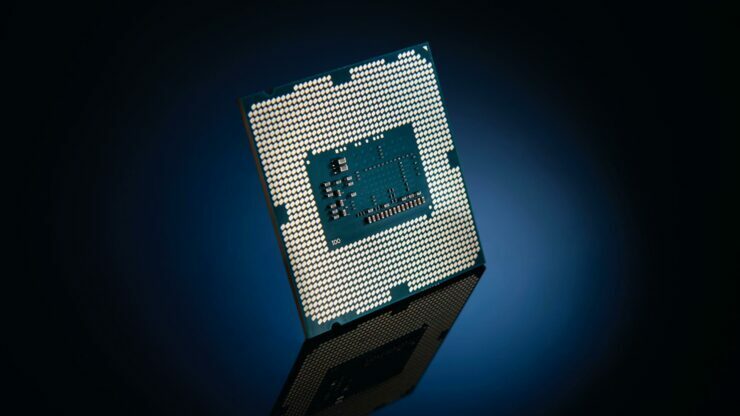 In terms of clock speeds, the chip has a base clock of 3.6 GHz and boosts up to 4.9 GHz in single, 4.8 GHz in dual-core, 4.7 GHz in four core and 4.6 GHz in 6/8 core operations. The TDP for this part is maintained at the same 95W. For the performance numbers of both of these chips, you can visit the links here, here and here for more details. Which Intel 9th Generation CPUs are you most interested in?